Game developers go as far as it takes to create a good game if the needed genre. And that always includes a great story. You run out of stories sooner or later with the number of games being developed on a daily basis literally. So it's not even surprising to meet a game where you have children as ghosts with dark stories of how things went wrong. 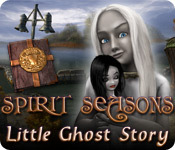 Spirit Seasons: Little Ghost Story is one of those games with one of those stories. You play as a traveller whose car got broken on his way to meet with friends. It seems that he was lucky to find a mension nearby, where he met an old man who was kind of willing to help him. It only seems that he was lucky because it didn't take too long for him to realize that things only got worse for him. You see at first he understands the place is absolutely creepy and weird. Then it seems to him that he is hallucinating and sees ghosts. A bit later he finds out that those are not hallucinations. The old guy then tells him that there is a ghost of a girl that is playing tricks with them and he is now to do something about it if he wants to ever get out of that house. So this is where the journeys may take you, but luckily it's just a game and all it means for you is a great number of puzzles and mysteries and searches. The adventure portion is rather general in this game. You will have to look for some items to overcome challenges along the way all the time. The funniest one was to set free a humster from a washing machine. Kind of unexpected. You are not going to get lost I think because the tasks are given to you at the bottom of the screen and the active areas are highlighted or hinted at by the sparkles. 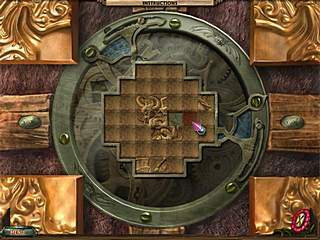 There are also mini games all along the way. They are not very typical and definitely not very easy. So you can either challenge your mind or skip those once it's available. 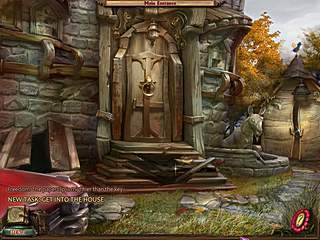 The hidden object levels are enough in this game to please the fans of that kind of fun. They usually give you a list of items to find. Those may include multiple items of one kind. Or you will have to look into the drawers or boxes in order to find some of the items. Some of them will have you to put two items together in order to get what is on the list. The graphics of the game are not very detained or hand-drawn, but they do their job well and are fairly good. It would be much better if the dialogues were voiced. The story is not told to you right away, which keeps you iterested in what's actually going on here. The game didn't become one of my favorite ones, but it is worthy of the attantion of the gamers. Hi Steve,Thanks for the tip on Duns Scotus. I actually eubndlred onto haeccity and quiddity on my own just recently, so it is nice to have you confirm I am not as adrift in my thinking as I was afraid I might be.Di Leo's article raised some questions, one of which is:He characterises haeccity as 'thisness',or 'hereness and nowness' of objects . This hereness and nowness, Di Leo attributes to Pierce as being purely experiential. Abstracting particular qualities from a game- first person, narrative and so on- will not take away from it's giveness if I am interpreting Di Leo correctly. Does this open a possibility to reconcile the desire to define games formally with the sociological approach to privilege how and what groups choose to define as games? 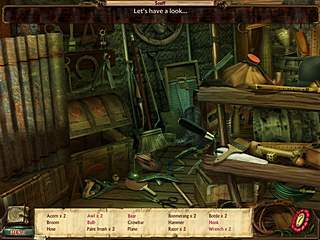 This is Spirit Seasons: Little Ghost Story for Mac review. Download this game here.